JOE EDWARD BROTHERS opened his beautiful hazel eyes for the very first time on October 3, 1941 in Star Town, TX. He was the 4th (baby boy) of six (6) children blessed to the union of Rev. William L. and Cleo Hardeman Brothers. Joe accepted Christ as his Lord and Savior at an early age. In 1958 the family relocated to San Antonio. He joined Bethel United Methodist Church and was a faithful member until the Lord called him home. After graduating from Edgewood High School, Joe enlisted in the United States Army. He served in the Vietnam War and was discharged with honors. In the year of our Lord 1965, Joe and Gloria (Dubbie) Jones were united in holy matrimony. God blessed their union with four (4) beautiful, gentle spirited, amazing daughters. 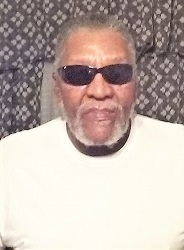 For several years, Joe was employed with the San Antonio Housing Authority as a maintenance supervisor. Deciding later to become an entrepreneur, Joe stepped out on faith and opened his own business as a carpenter and mobile home repair specialist. In addition to San Antonio, Joe’s customer service base included Bexar and several surrounding counties. Those who knew Joe knew he loved five things: He loved his family unconditionally, he loved playing dominos, he loved cooking, he loved being a handy-man and he loved mentoring. Family, acquaiances and their children’s friends were always welcomed at Joe and Gloria Brothers home. He was known for his mouth watering brisket, smoked turkey, dressing and flapjacks. Joe was a devoted husband. When Gloria began to face health challenges, Joe served as one of her primary care givers. He was a loving father, grandfather, great-grandfather, brother, a loyal friend and a servant of the Lord. Already a doting father, Joe’s love soared to new heights when he became a grandfather. He relished being a Pa Pa and cherished the time he shared with each of his grands and great-grands. On August 27, 2018 at 7:56A.M. Joe went to be with the Lord peacefully in his home. He was preceded in death by Gloria his wife, his parents, siblings Thomas, Willie, Curtis and wife Marian, father and mother-n-love Cecil and LaVhan Jones, brothers in love Adolphus Charles (Chuckie) and Donald Clarence Jones and his ride or die Rev. Carlos Murphy. Joe leaves to cherish his memory and to reflect on his legacy: 4 daughters Margo Lavette (Precious) Brothers Odoms (Earl Merriwearther), Yolanda Sherree (Yo Yo) Brothers Blumenburg (Jimmy), Yesenia (Fee Fee) Dion Brothers (Anthony Evans), Deborah LaJoyce (Debo) Brothers Kemp (Jazz) and a very special god son Walter Edwards; 10 grandchildren Marlena Brothers??? Legrand (Andy is his name Andrew), William Farris, Quinton Brothers, Jasmond Jr., Paris, Jasmond , London, and Egypt Kemp; Kourtnee and Aaliyah Evans; 5 great-grand Zari and Makirah Ferris, Zaylei & Zay Don Brothers and Molly Legrand; 2 siblings Florence Brothers Jackson (Donald) and Mayme Brothers Washington; 2 Brothers n Love: Morris Cecil (Bubba) Jones, Jr. and Ronald Jones (Joyce Wee Wee) 2 Sisters n Love: Shelia Jones Carter and Sylvia V. Harris Jones; Special friend Gwendolyn Johnson and a host of nieces, nephews, extended family and friends.